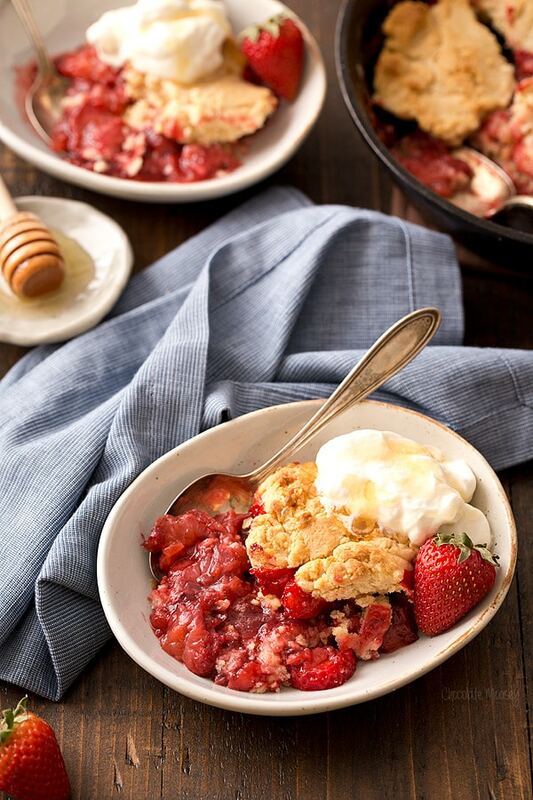 Take strawberry shortcake to a whole new level with Strawberry Shortcake Cobbler topped with honey biscuits and served with honey whipped cream. 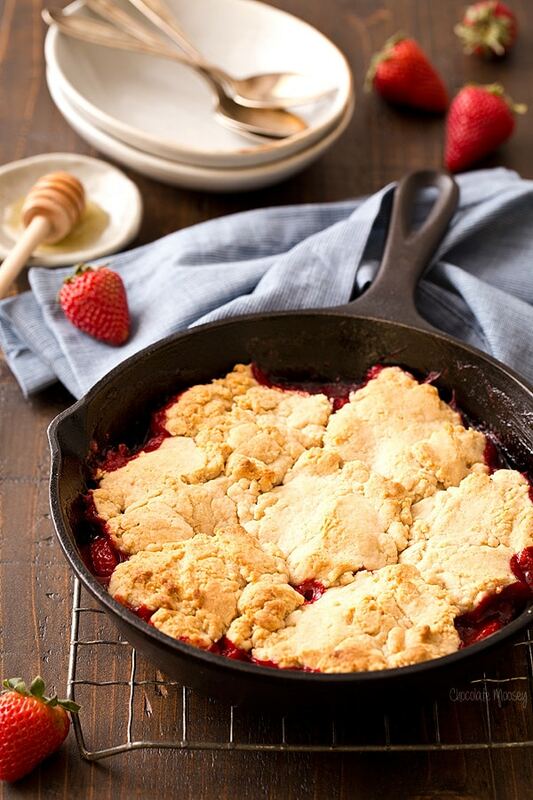 Directions to make this cobbler on the grill included. Can you believe Memorial Day is next week?! I just got back from vacation, so I need a few days to settle back into reality, just in time to take Monday off so Dad can grill hamburgers and hot dogs for dinner. What I love the most about Memorial Day is it kicks off strawberry season in Pennsylvania. Local farms start hosting strawberry festivals and invite the public to pick their own strawberries. If you don’t want to pick your own, you can easily buy baskets from the farmers. 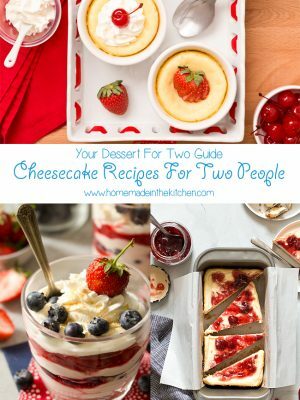 Every year I run into the same dilemma – which strawberry desserts am I going to make this year? 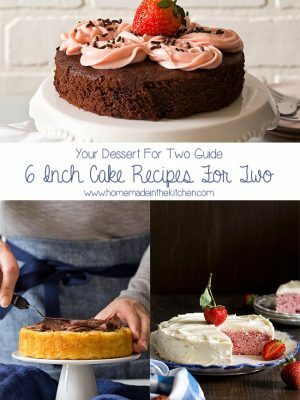 Do I remake my favorites like strawberry layer cake and strawberry s’mores tart? Or do I focus on new recipes? 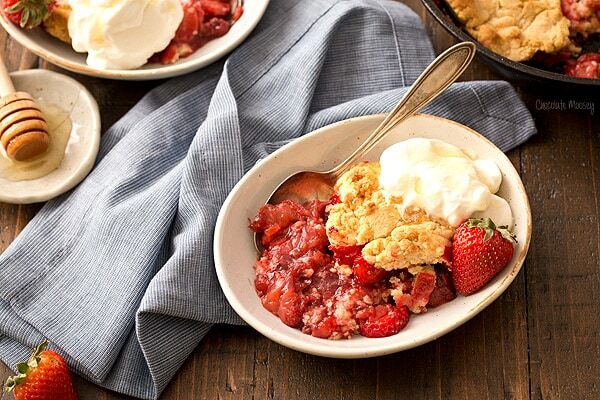 I’ve had this Strawberry Shortcake Cobbler on my idea list since last year but haven’t gotten around to it. It’s reminiscent of strawberry shortcake because of the honey biscuits cobbled on top. 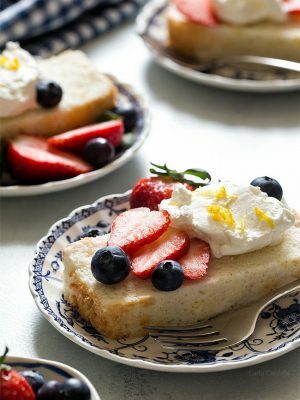 When you serve it, top it with some honey whipped cream, much like traditional shortcake. Of course some strawberry shortcakes are made with biscuits while others are made with cake, but hey who’s noticing anyway? It’s strawberry shortcake! 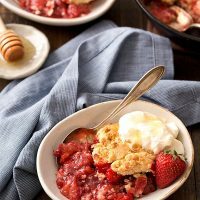 This strawberry cobbler is different than most cobblers because I used honey to sweeten everything – the strawberries, the biscuits, and (the best part) the honey whipped cream. 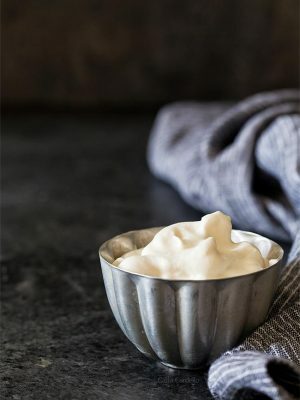 I can’t get over how much I love this honey whipped cream. Because it’s only three ingredients – honey, cream, and vanilla – the flavor of the honey shines through. Honey can easily be substituted for other granulated sweeteners in most recipes with a few minor adjustments. I used black locust honey from a local PA farm, which according to the label is “delicate, sweet, fruity with a hint of vanilla.” However, any type of honey will work, including the ever-so-popular clover honey. Of course with Memorial Day coming up, you can’t grill dinner without grilling some dessert. Even though you don’t place anything directly on the rack, I learned on a whim the grill acts like an oven when the real oven is broken. After all, it’s just another source of heat. 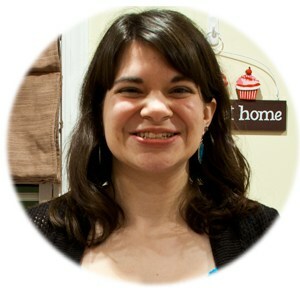 Last year my friend hosted monthly Sunday dinners at her house where everyone invited brought one dish to share. One of the themes was comfort food, so I made my Chicken Pot Pie Casserole. Knowing it would be cold by the time I drove over, I prepped everything ahead of time. That way all I had to do was pop it into the oven for 20 minutes. Except their oven broke about 10 minutes before I arrived. They couldn’t cancel dinner as everyone was either already there or on their way. Luckily they had a propane grill, so we “baked” the casserole on the grill until the biscuits were golden brown. And it worked perfectly. 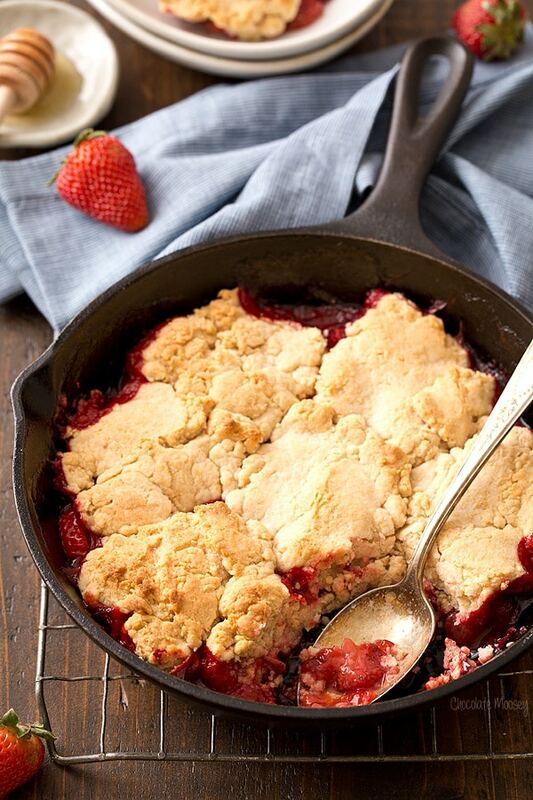 Why would you want to bake this strawberry cobbler on the grill? Because soon it’ll be summer where you’re roasting inside and the last thing you want to do is turn on the oven. Plus if you’re already grilling dinner, you might as well grill up some dessert while you’re eating, right? 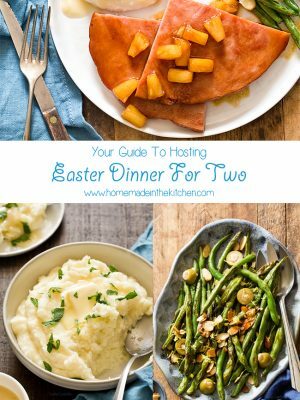 Best part is you can prep the ingredients beforehand so all you have to do is assemble and grill. 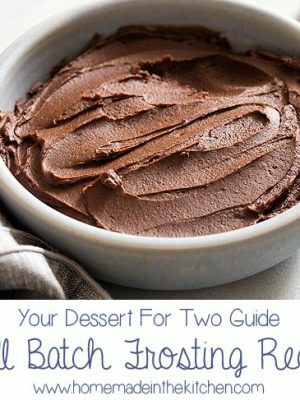 Don’t worry – I also included instructions on how to bake this in your regular oven. The only difference is the baking time is more precise. 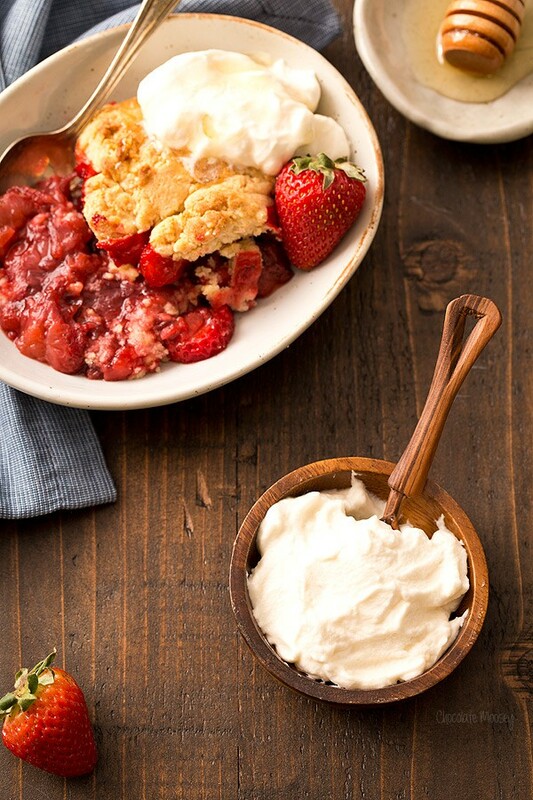 Take strawberry shortcake to a whole new level with Strawberry Shortcake Cobbler topped with honey biscuits and served with honey whipped cream. Preheat grill to medium heat or oven to 400F. 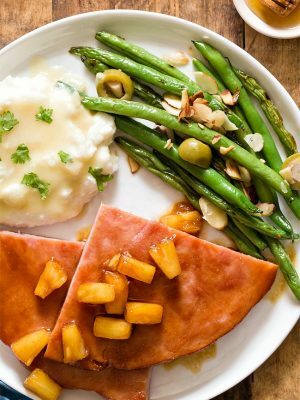 Have a 9-inch cast iron skillet or similar heat-proof skillet or pan ready. For the filling: In a large bowl mix together the strawberries, lemon juice, honey, and cornstarch. Add to the skillet or pan. For the biscuits: In the bowl of a food processor, mix together the flour, baking powder, and salt. Add the butter and pulse a few times or until the mixture looks like coarse pebbles. Add the honey and cream then pulse until a dough forms. 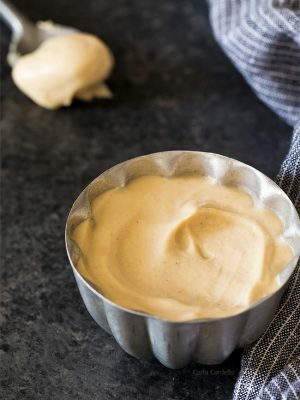 Alternatively you can add the dry ingredients to a large bowl, cut in the butter by hand with a pastry cutter, and stir in the honey and cream with a wooden spoon. Divide the dough into 7-8 pieces and shape each piece into a round biscuit. Place the dough on top of the strawberry mixture. Grill with the lid covered for 25-35 minutes or bake uncovered for 30-35 minutes or until the top is golden brown and strawberry mixture is bubbling. Cool for at least 15 minutes before serving warm with honey whipped cream. 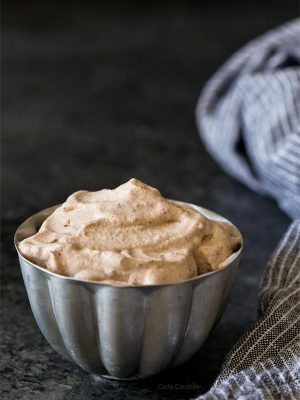 For the whipped cream: In a large mixing bowl (with whisk attachment if using a stand mixer), beat the heavy cream until thickened. Gradually beat in the honey and vanilla then continue beating until stiff peaks form (when you pull the beater up, peaks will form and not fall over). What a perfect summer dessert! I like that you sweetened with honey! Yum!